The iconic sport coat is made for action and worn for style, and nothing combines the two like Horse Racing season. Our sport coats are cut with higher armholes and double vents--giving you a wide range of motion for horse riding or (more accurately) slugging back a few cocktails. Our Italian spun, merino wool offers an excellent drape and is stain resistant and extremely durable. For a classic look (left), consider a custom sportcoat from The QG. This look is paired with a custom shirt with fabric by Scabal and a Necktie by Seaward & Stern. 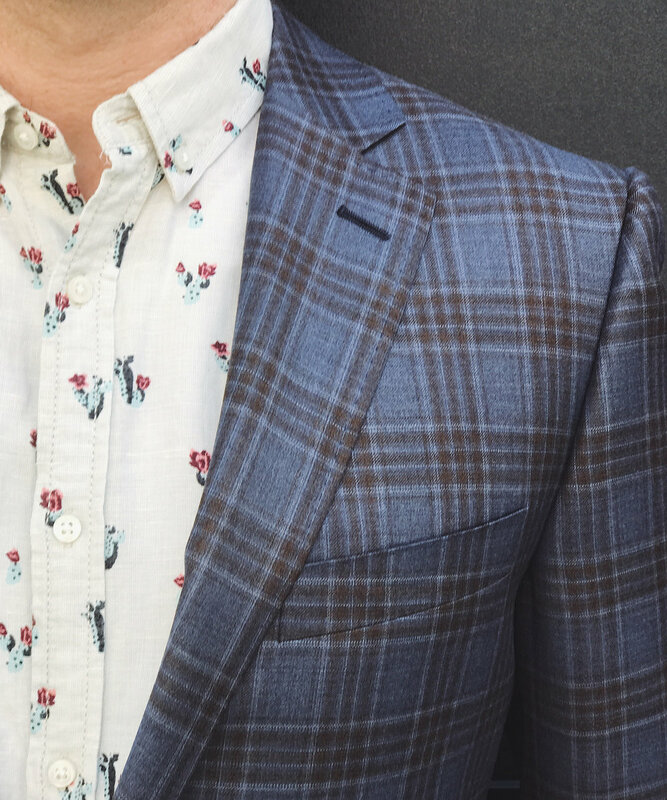 A classic sportcoat by Byron and this playful spring shirt by Life After Denim for a fun and cheeky look. For the ladies, we have new dress selections on our fifth floor. Our favorites are the red cocktail dress from Bailey 44 and the white halter dress from Trina Turk. On the left: What we love most about this dress is how effortless it feels. Stand out in the crowd in this lovely, bold shade of red. Pair with silver accessories for a spring look. On the right: Trina Turk brings the class to this cocktail length dress. Casual enough for day wear and dressy enough to wear through the evening, this dress is as flattering as it is comfortable. 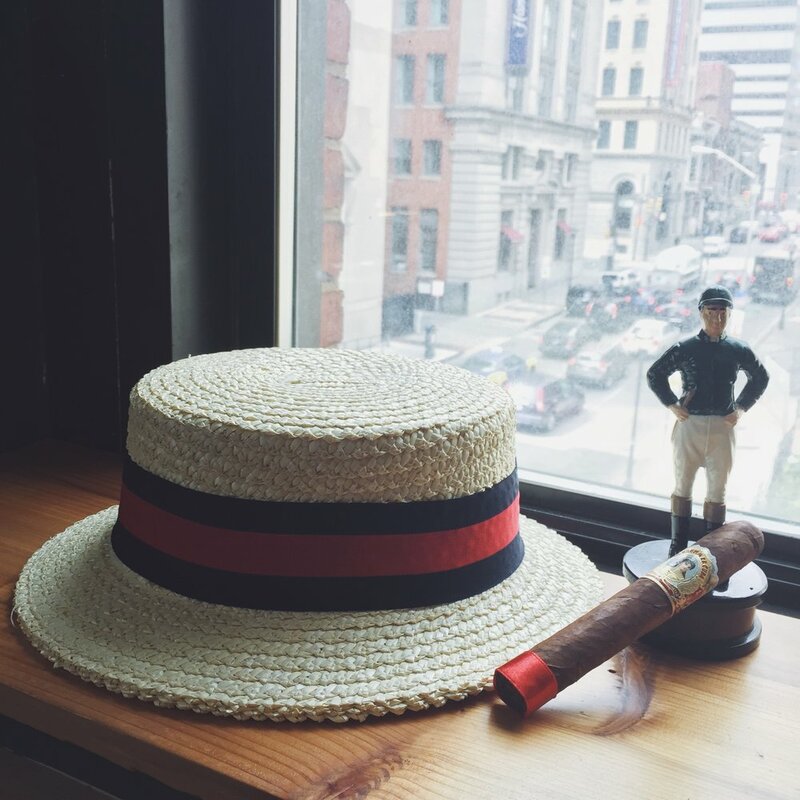 The Cigar Lounge which will be open till 6:30 this Saturday is featuring La Aroma De Cuba Mystique. It is smooth medium bodied smoke with Nicaraguan filler and a Connecticut broadleaf wrapper.